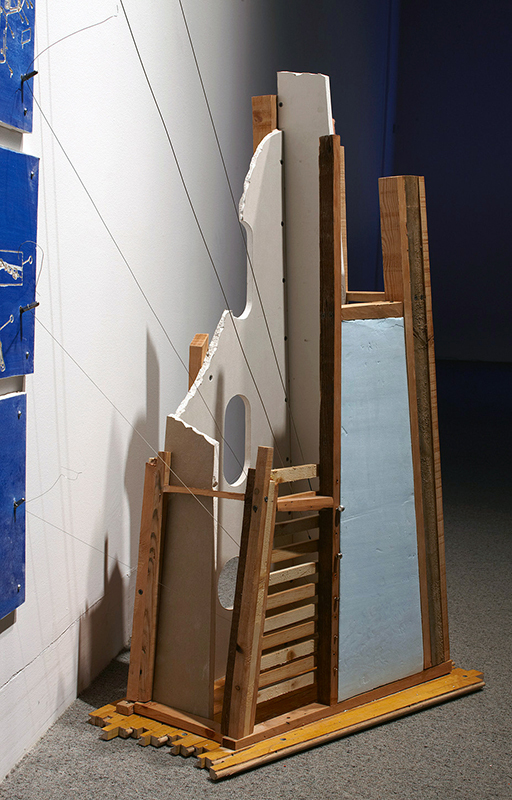 Stilts and Satellites is comprised of a harp made of drywall, discarded wood, and insulation materials. 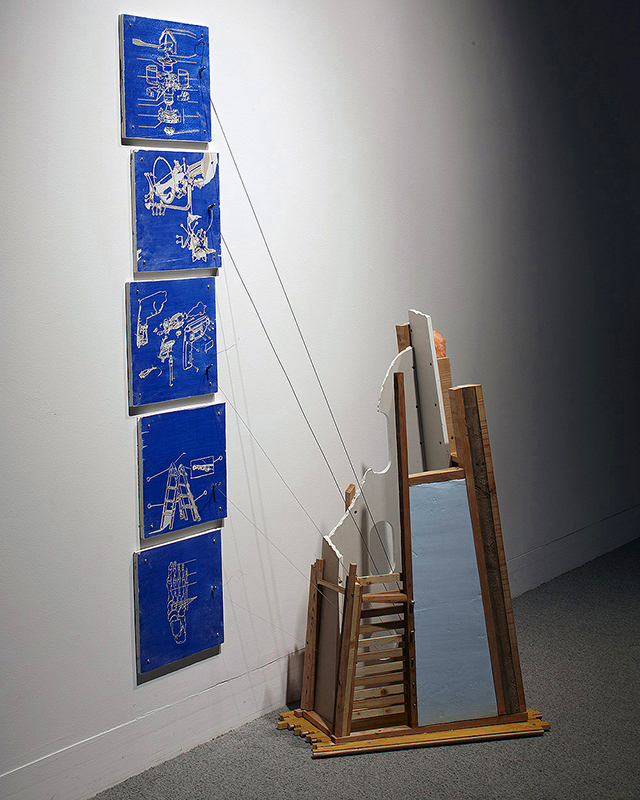 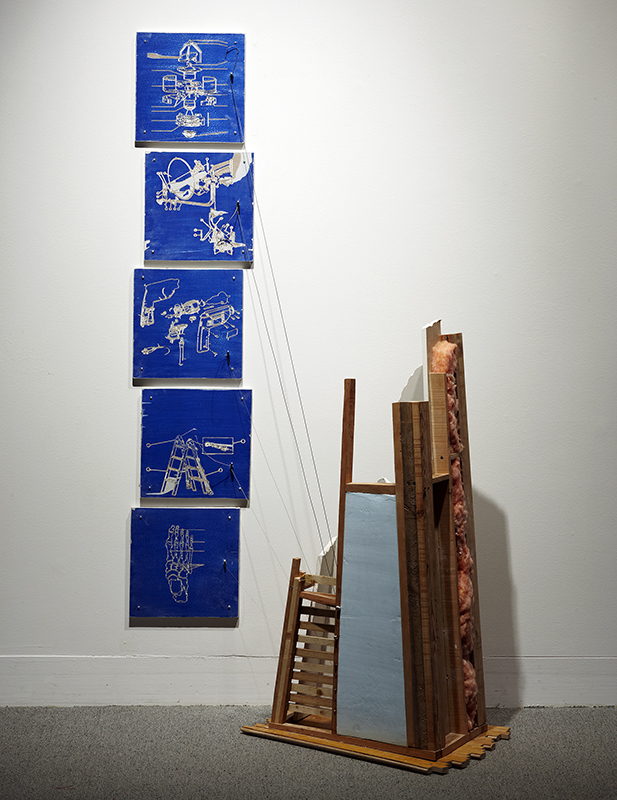 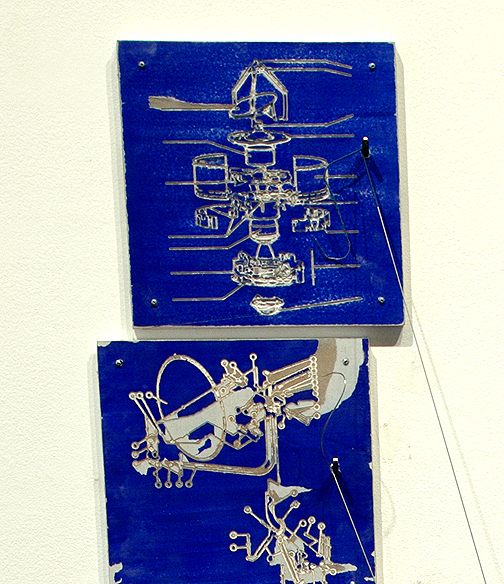 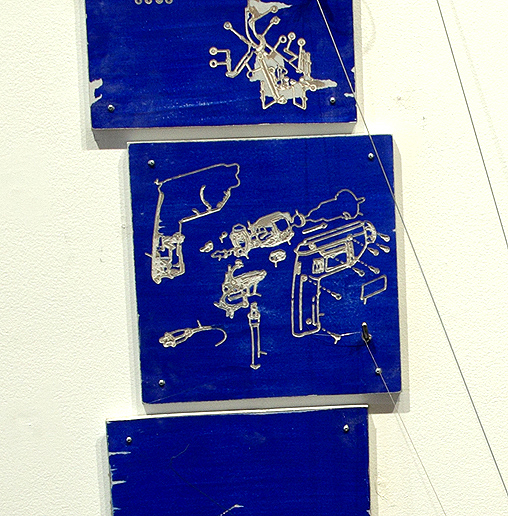 Each tuned string attaches to a ‘blueprint’ diagram image carved into painted drywall panels and mounted on the wall. 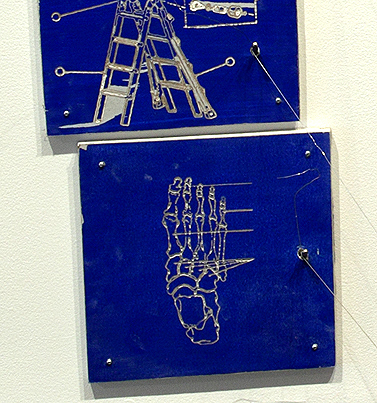 In ascending order we see the skeleton of a foot, a ladder, a drill, a satellite dish and a satellite.